Who’s Behind All These Gnome Homes in Parks? One trend that I keep seeing is “gnome homes” popping up all over the country in public parks. As we all know, gnomes and nature go hand-in-hand, so it makes perfect sense that they’d be setting up habitats in our most beautiful and scenic parks. With the assistance of creative and devoted humans, gnomes are moving into parks and sparking the imaginations of kids and adults of all ages. Gnome homes started appearing along this trail in 2013, and their creator was recently identified as a single mother named Robyn Frampton. 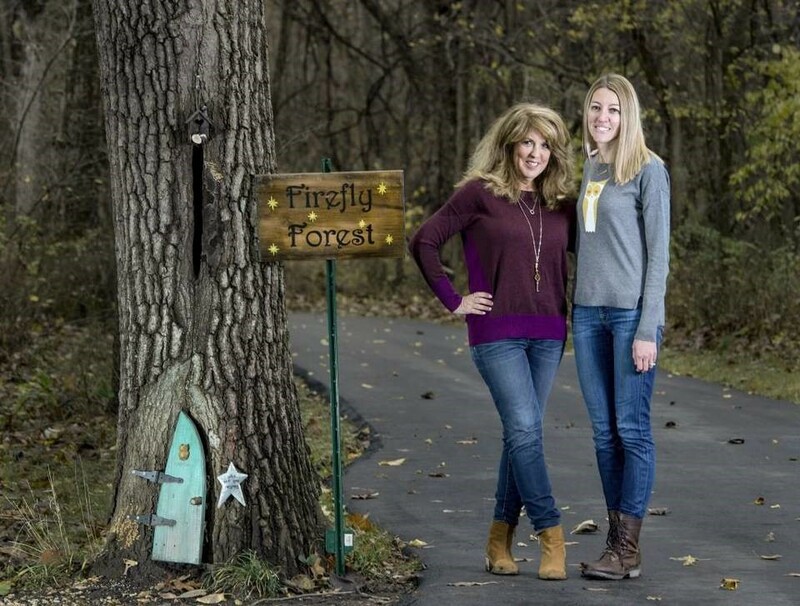 An Overland Park filmmaker created a documentary about her project called “The Gnomist.” It’s a story of paying it forward (one gnome home at a time) getting through a painful divorce, and connecting with nature and other people. Sadly, this is a story of gnome homes that haven’t been well-received. A local retired couple built 39 gnome homes to encourage kids and adults to interact with the park. For fear of harming the natural environment, park management has evicted the gnomes. However, the couple insists the trail has no damage, and the park has seen tremendous increases in visitors since the gnomes appeared. You can sign a petition to keep the gnomes keep their homes and the community enjoying the magic they bring. Gnomes have also taken up residence in this park along the Creeks to Peaks Trail with a sign reading “Leave for all to enjoy.” Visitors are encouraged to check out the gnome home while walking through the park and leave their own mementos behind in the community’s knotty tree stump. Lamignomes…The Next Big Gnome Movement? My new website is definitely still a work in progress, but I’ll give you a sneak peek into my next gnome venture: Lamignomes (i.e. laminated gnomes). 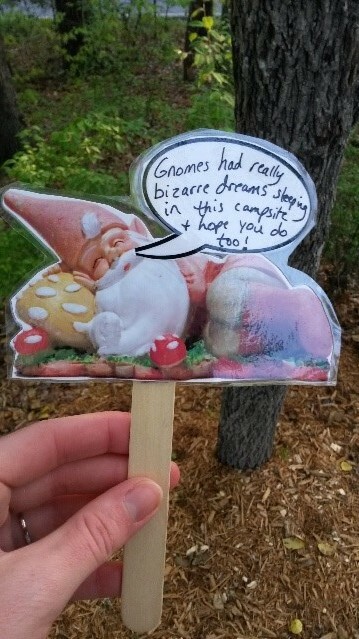 Armed with custom gnome printouts, popsicle sticks, a sharpie marker, and a laminating machine, I have been creating gnomes with “talk bubbles” who have lots to say about the places I travel to. Stay tuned for an update on the Lamignomes movement in a future post! Have you spotted a gnome habitat growing in a park near you? Share your story (and photos!) with us, and maybe we can visit them someday too!